Studies show that not only are women more proactive about their oral health, but also have a better understanding about what good oral health entails along with a more positive attitude toward visiting the dentist. However, due mostly to hormonal fluctuations at different life stages, women generally have more oral health concerns to worry about. But what’s new, right? 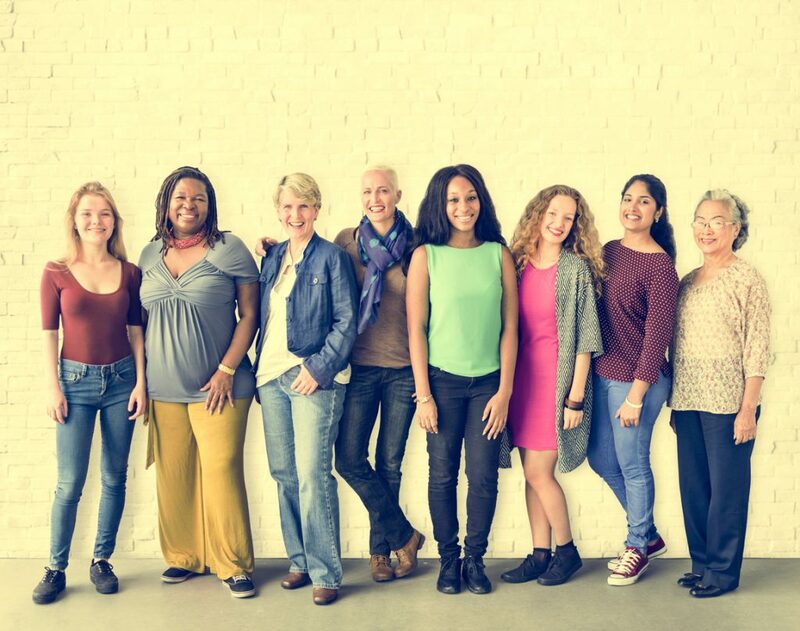 If you’re curious about how puberty, menstruation, pregnancy or menopause affect your oral health, we’ve prepared a quick summary of how to prepare for and how to maintain great oral health throughout every stage of your life. Puberty occurs in girls between ages 8 to 14. In addition to developmental changes, hormones such as estrogen progesterone increase blood flow to the gums and can cause them to become red and swollen. Along with hormonal fluctuations, microbial changes in the mouth result in in “destructive” bacteria that can lead to more plaque, cavities, gingivitis and bad breath. If your daughter is going through puberty, it’s normal for her to experience light bleeding during brushing and flossing. Encourage her to keep a good brushing and flossing routine, in order to cut down on plaque. A woman’s menstrual cycle also impacts her oral health. Hormonal fluctuations can cause swollen gums and possible bleeding while you brush or floss, especially the week before your period. During their period, many women experience dry mouth and bad breath due to a loss of saliva. Finally, thanks to increases in the mucosal lining of your oral cavity, some women are susceptible to canker sores in the days leading up to their periods. If you’re experiencing any of these symptoms, try rinsing at least once a day with a nonalcoholic mouthwash. The best time for women to schedule a dental cleaning is the week after your period. High estrogen levels before and during your period can cause gum inflammation, which can throw off the results when your dentist measures pocket depth — a measurement of gum health. Your cleaning could also be more painful around this time. Wait to schedule your checkup for a more comfortable experience and better results. By now, you’ve figured out that you are more at risk than men for gum disease. And we’re sorry to say it doesn’t get any better when you’re pregnant. Although women were once discouraged from seeing the dentist while pregnant, it is now suggested that women schedule a checkup between four to six months. This is because the first three months of pregnancy are thought to be of greatest importance in your child’s development. During the last trimester, stresses associated with dental visits can increase the incidence of prenatal complications. Pregnant women who already have gum problems need to be extra diligent about their oral hygiene as it can worsen and turn to periodontitis, a more serious form of gum disease. If you get a sweet tooth while pregnant, we encourage you to reach for cheese, fresh fruits or vegetables instead of soda or ice cream. In menopause, estrogen levels decline rapidly, which can lead to bone loss and periodontitis. Postmenopausal women are at risk for osteoporosis, a disease that causes brittle bones and has a major impact on the jawbone supporting the teeth. Many women begin hormone therapy and taking supplements to combat estrogen, calcium and Vitamin D deficiencies as a result of menopause, but you can still lose teeth even if you are doing everything right. If you’ve lost teeth as a result of osteoporosis or menopause, dental implants have been shown to improve quality of life more than dentures. If you are experiencing any oral health concerns during menopause, make a dental appointment as soon as possible.